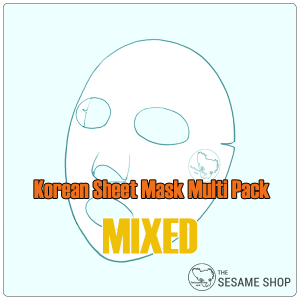 Innovative rubber sheet mask to transform your skin’s texture, tone and elasticity. This innovative rubber mask will fit and care for your face like a lover, providing emergency transformation to your skin’s tone, texture and elasticity. 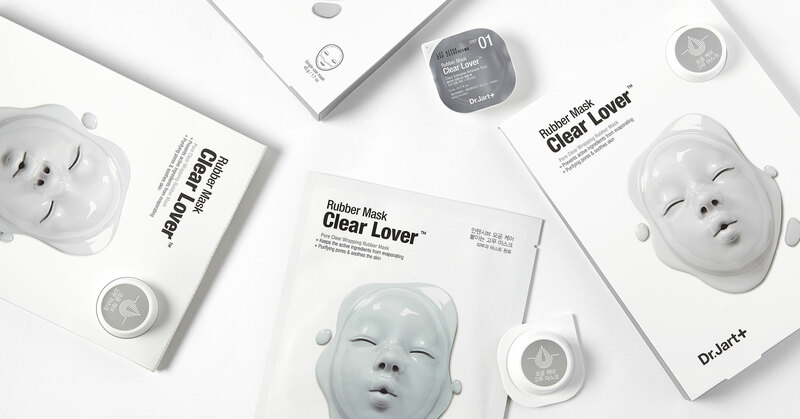 The mask consists of two steps, Step 01 an hydrating ampoule containing skin-transforming active ingredients, gets applied to the face and then wrapped around by the Step 02 rubber mask. 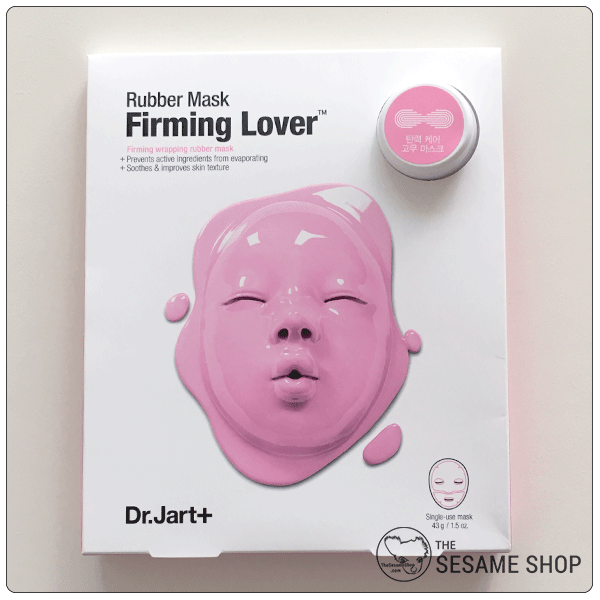 The rubber mask fits perfectly to the contours of the face, creating a closed environment for the ampoule to penetrate deeply into the skin layers and work its magic. The 30-minute treatment is completely air-less, which maximises the effect of the ampoule, preventing any loss to the air. 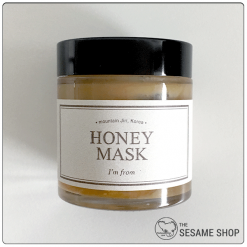 This leaves the skin highly hydrated, brightened, plumped and softened. 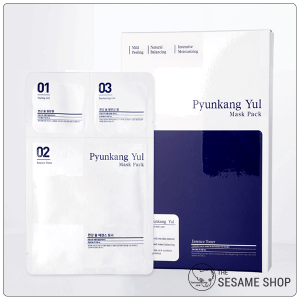 The nutrition within the ampoule gets absorbed and activated within the skin. Show some love to your skin with the Dr Jart+ Lover Rubber Mask. 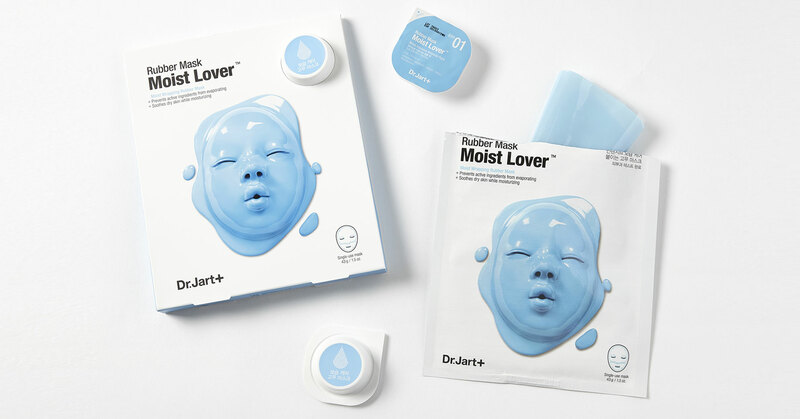 Moist Lover – containing Phyto Keratin Complex, a botanical protein, to improve the water retention ability of your skin. 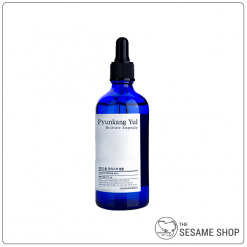 Also rich in Green Seaweed Extract, Vitamin C and minerals, to hydrate, plump and balance the skin. 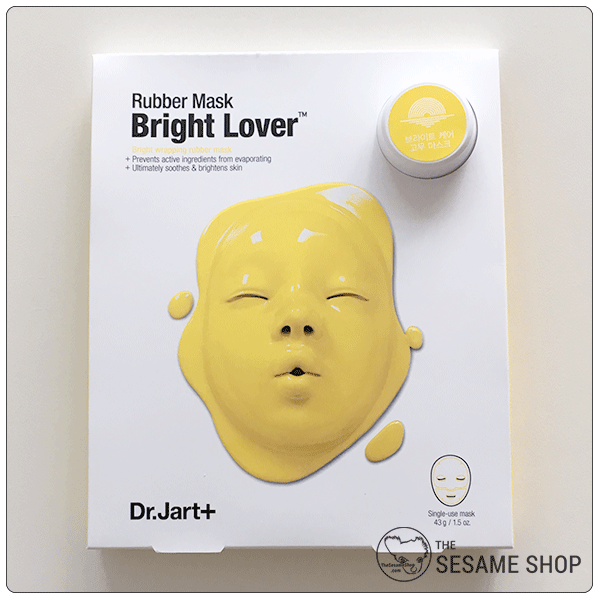 Bright Lover – containing Vitamin A, B, C and E, to brighten and revitalise the skin and supports natural collagen synthesis to give you that “natural glow”. Firming Lover – containing berry complex featuring salicylic acid to smooth out the appearance of fine lines, and red seaweed to help maintain moisture for a more supple and lifted complexion. 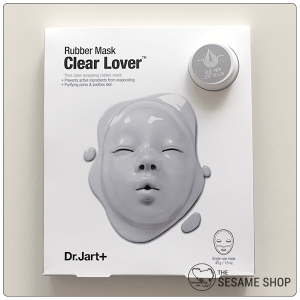 Clear Lover – containing green tea extract, grape seed extract and persimmon extract to clear out the pores and tightens them, leaving the skin smooth and healthy looking. 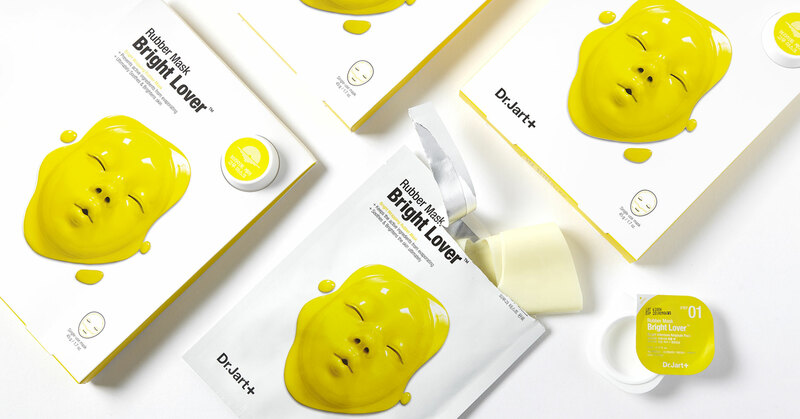 After cleansing, apply STEP 01 – Ampoule Pack all over the face. Apply the STEP 02 – Rubber Mask to the face, make sure it adheres completely without any edges lifting. 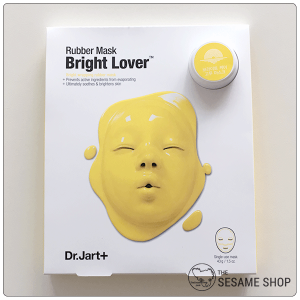 Leave on for 30~40 minutes, then remove the rubber mask and massage gently for the remaining ampoule to be absorbed into the skin. 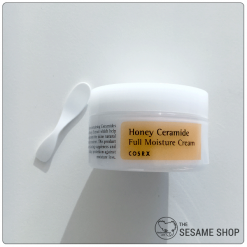 Follow with a moisturiser to lock in the hydration if needed. Phyto Keratin Complex (corn protein, wheat protein, soy protein, hyaluronic acid): Improves moisture retention, supports natural collagen synthesis and elasticity. Green Seaweed Extract (codium fragile extract, enteromorpha compressa extract, chlorella extract): Provides Vitamin C and minerals to balance and revitalize skin. Algin: Brown algae that increases moisture retention and cools skin. Vitamin Complex (grapefruit extract, tocopherol, ascorbic acid, folic acid): antioxidant that improves the appearance of even skin tone. Water, Dipropylene Glycol, Caprylic/Capric Triglyceride, PEG-240/HDI Copolymer Bis-Decyltetradeceth-20 Ether, Glycerin, Panthenol, Sodium Hyaluronate,Sorbitan Sesquioleate, Cetearyl Alcohol, Mangifera Indica (Mango) Seed Butter,Macadamia Integrifolia Seed Oil, Citrus Nobilis (Mandarin Orange) Peel Oil, CitrusParadisi (Grapefruit) Fruit Extract, Folic Acid, Pantothenic Acid, Thiamine HCl, Tocopherol,Caprylhydroxamic Acid, Caprylyl Glycol, Carnitine HCl, Ascorbic Acid, ButyleneGlycol, Biotin, Riboflavin, Retinyl Palmitate, Niacin, Glyceryl Stearate, PEG-100 Stearate,Dimethicone, Glycereth-26, Trehalose, Ethylhexylglycerin, Betaine, DisodiumEDTA, Allantoin, Phenoxyethanol, Ethyl Hexanediol, 1,2-Hexanediol. Brown Seaweed (laminaria japonica extract, undaria pinnatifida extract, sargassum extract): Supports moisture, improves the appearance of dullness, and elasticity. Water, Methylpropanediol, Chondrus Crispus Extract, Glycerin, 1,2-Hexanediol, Algin, Calcium Lactate, Laminaria Japonica Extract, Undaria Pinnatifida Extract, Sargassum Fulvellum Extract, Dipotassium Glycyrrhizate, Panthenol, Allantoin, PEG60Hydrogenated Castor Oil, Titanium Dioxide, Polymethylsilsesquioxane, Curcuma Lo-nga (Turmeric) Root Extract, Melia Azadirachta Flower Extract, Melia Azadirachta LeafExtract, Melia Azadirachta Bark Extract, Corallina Officinalis Extract, Moringa OleiferaSeed Oil, Ocimum Sanctum Leaf Extract, Silica, Citrus Nobilis (Mandarin Orange) PeelOil, Disodium EDTA, Butylene Glycol, Ceratonia Siliqua Gum, Sucrose, Potassium Chl-oride, Xanthan Gum, Citric Acid, Sodium Citrate, Phenoxyethanol, Ethylhexylglycerin. Berry Complex (strawberry extract, raspberry extract, blueberry extract): Antioxidant that supports natural elasticity and brightens the appearance of skin. 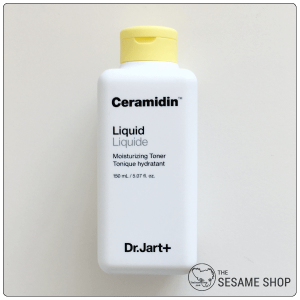 Water, Dipropylene Glycol, Caprylic/Capric Triglyceride, PEG-240/HDICopolymer Bis-Decyltetradeceth-20 Ether, Glycerin, Panthenol, Sodium Hyaluronate, Sorbitan Sesquioleate, Cetearyl Alcohol, Mangifera Indica (Mango) Seed Butter, Macadamia Integrifolia Seed Oil, Butylene Glycol, Fragaria Chiloensis (Strawberry) Fruit Extract,Rubus Idaeus (Raspberry) Fruit Extract, Vaccinium Angustifolium (Blueberry) Fruit Extract, Rosmarinus Officinalis (Rosemary) Leaf Oil, Glyceryl Stearate, PEG-100 Stearate, Dimethicone, Glycereth-26, Trehalose, Ethylhexylglycerin, Betaine, Disodium EDTA, Allantoin, Phenoxyethanol, 1,2-Hexanediol. Brown Seaweed (porphyra yezoensis extract, gelidium cartilagineum extract): Maintains moisture to visibly plump skin. Algin: Brown algae that supports moisture retention and cools skin. Water, Methylpropanediol, Chondrus Crispus Extract, Glycerin, 1,2-Hexanediol, Algin, Calcium Lactate, Butylene Glycol, Porphyra Yezoensis Extract,Gelidium Cartilagineum Extract, Dipotassium Glycyrrhizate, Panthenol, Allantoin,PEG-60 Hydrogenated Castor Oil, Titanium Dioxide, Polymethylsilsesquioxane, EcliptaProstrata Extract, Melia Azadirachta Leaf Extract, Moringa Oleifera Seed Oil, Silica,Rosmarinus Officinalis (Rosemary) Leaf Oil, Disodium EDTA, Ceratonia Siliqua Gum,Sucrose, Potassium Chloride, Xanthan Gum, Citric Acid, Sodium Citrate, Phenoxyethanol,Ethylhexylglycerin. 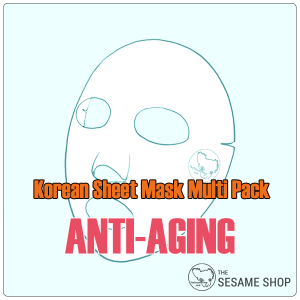 Pore Clear Complex (green tea extract, grape seed extract, persimmon extract): Antioxidant that purifies skin to visibly reduce the appearance of pores. Green Seaweed Extract (gelidium cartilagineum extract, laminaria japonica extract, enteromorpha compressa extract, spirulina extract): Diminishes excess shine and supports skin health.